This fancy dress costume is the perfect stylish yet frightening fancy dress costume and contains everything for turning you into an all singing, all dancing Zombie cheerleader. The fabulous costume comprises of a red and black Cheerleader's dress with realistic frayed hemline, the letters D,E,D are spelt out printed onto the chest. The costume is completed with a pair of red pom poms. Simply add some fake blood and white facepaint and you'll look like the most gruesome undead cheerleader around! 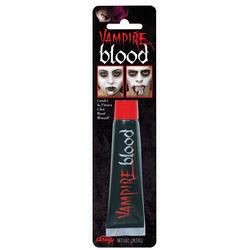 Perfect for making a big impression at any fancy dress party and a very popular choice for Halloween!